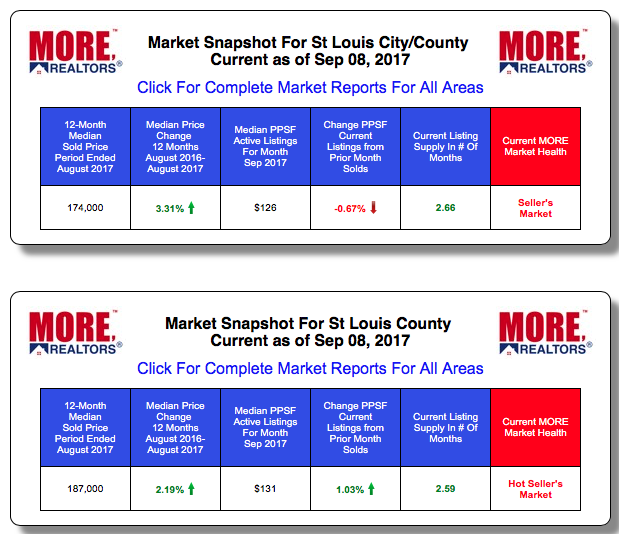 As we approach the fall season (officially referred to as “autumn”, it begins September 22nd) and the temperatures cool, St Louis home prices and sales are beginning to cool as well. 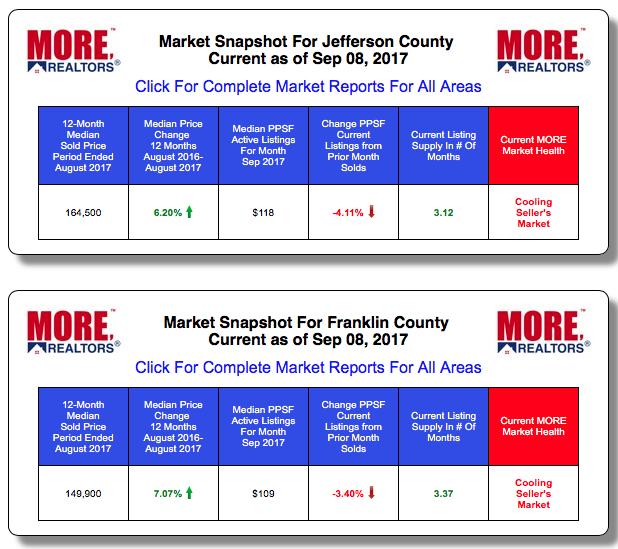 There’s no reason for panic as this is normal due to the “seasonality” of the real estate market, however, we in the real estate business never like to see it arrive. 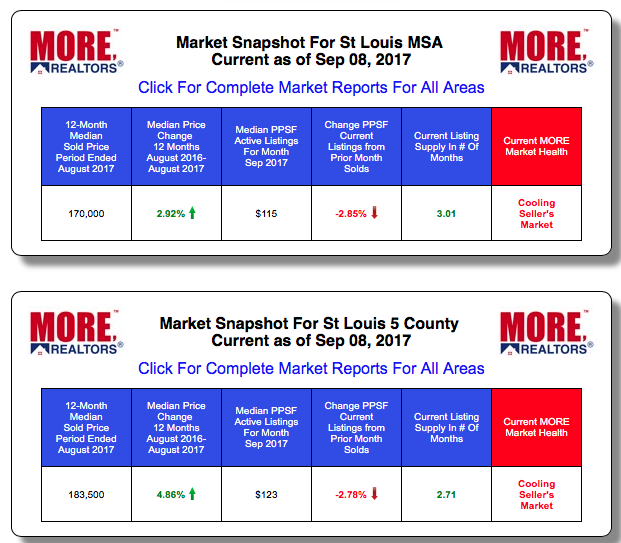 As the tables below for the St Louis MSA, as well as the counties that make up the St Louis real estate market, show, the St Louis real estate market as a whole, is now a “cooling seller’s market” with the exceptions being St Louis County, which we have as a “hot seller’s market,”, and the St Louis City/County market we are calling a “sellers market”. What this means for seller’s is, if your home is listed, not sold and you have considered a price reduction (or your agent has been pushing for one), my suggestion would be “the sooner the better“. Prices are declining and will continue to slip as we go into the winter months and then recover and increase next spring. So, unless you are willing to wait until spring to sell, the longer you wait to lower your price to a level that will cause buyers to react, the lower you will have to go most likely. For home buyers, this means if you haven’t bought yet, now is a good time to buy as prices are easing and will continue to ease in the coming months.